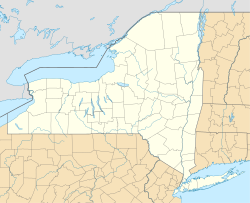 For the hamlet and CDP located within this town, see Seneca Falls (CDP), New York. For other uses, see Seneca Falls (disambiguation). Seneca Falls is a town in Seneca County, New York, United States. The population was 9,040 at the 2010 census. The Town of Seneca Falls contains the former village also called Seneca Falls. The town is east of Geneva, New York, in the northern part of the Finger Lakes District. Seneca Falls is a historic location along a branch of the Erie Canal and the birthplace of women’s rights, where the 1848 women’s rights convention was held. It is also believed by some to have been the inspiration for the fictional town of “Bedford Falls”, portrayed in filmmaker Frank Capra’s classic 1946 film It’s a Wonderful life. The region is the former realm of the Cayuga tribe, who were visited by Jesuit missionaries during the 17th century. Cayuga villages were attacked and destroyed by the Sullivan Expedition of 1779 in retaliation for plundering and killing new colonists. The region became part of the Central New York Military Tract, reserved for veterans, after the conclusion of the American Revolution. A canal was completed in 1818 allowing transit between Seneca Lake and Cayuga Lake. This canal was connected to the Erie Canal in 1828. The town was established in 1829 from part of the Town of Junius. The community of Seneca Falls in the town set itself apart by incorporating as a village in 1831. The Seneca Falls Convention held July 19–20, 1848, was the first women's rights convention organized by women explicitly for the purpose of discussing women's rights as such. On March 16, 2010, the people of the Village of Seneca Falls voted to dissolve the village into the Town of Seneca Falls, effective in 2012. According to the United States Census Bureau, the town has a total area of 27.4 square miles (71.0 km²), of which, 24.2 square miles (62.7 km²) of it is land and 3.2 square miles (8.3 km²) of it (11.63%) is water. The east town line is partly defined by Cayuga Lake. The Seneca River/Cayuga-Seneca Canal passes across the town. More recently, efforts are underway to complete a scenic trail along the historic canal. The eastern section of the town is part of Montezuma Marsh, an extensive wetland at the north end of Cayuga Lake. Conjoined US Route 20 and NY-5 form an east–west highway across the town. New York State Route 89 is a north–south highway by the shore of Cayuga Lake. New York State Route 414 is also a north–south highway, but has an east–west orientation while conjoined with US-20 and NY-5. New York State Route 318 intersects US-20/NY-5 in the northeast corner of the town. As of 2010 Seneca Falls had a population of 9,040. The ethnic and racial makeup of the population was 93.6% non-Hispanic white, 1.3% African-American, 0.4% Native American, 0.3% Indian, 1.3% other Asian, 0.2% non-Hispanic from some other race, 1.4% from two or more races, 1.0% Puerto Rican and 0.7% other Hispanics. As of the census of 2000, there were 9,347 people, 3,796 households, and 2,440 families residing in the town. The population density was 385.6 people per square mile (148.9/km²). There were 4,167 housing units at an average density of 171.9 per square mile (66.4/km²). The racial makeup of the town was 95.86% White, 0.87% Black or African American, 0.22% Native American, 1.52% Asian, 0.30% from other races, and 1.23% from two or more races. Hispanic or Latino of any race were 1.33% of the population. There were 3,796 households out of which 29.8% had children under the age of 18 living with them, 49.0% were married couples living together, 10.9% had a female householder with no husband present, and 35.7% were non-families. 28.4% of all households were made up of individuals and 12.1% had someone living alone who was 65 years of age or older. The average household size was 2.38 and the average family size was 2.91. The town's population was spread out with 23.6% under the age of 18, 8.5% from 18 to 24, 30.3% from 25 to 44, 21.9% from 45 to 64, and 15.8% who were 65 years of age or older. The median age was 37 years. For every 100 females, there were 98.0 males. For every 100 females age 18 and over, there were 94.7 males. The median income for a household in the town was $37,245, and the median income for a family was $48,565. Males had a median income of $36,631 versus $25,094 for females. The per capita income for the town was $18,462. About 9.7% of families and 13.2% of the population were below the poverty line, including 14.4% of those under age 18 and 8.4% of those age 65 or over. Bridgeport – A lakeside hamlet east of Seneca Falls CDP on NY-89. Cayuga Lake State Park – A state park on the shore of Cayuga Lake. Finger Lakes Regional Airport (0G7) – A general aviation airport southeast of Seneca Falls CDP. Halsey Corner – A location in the northeast corner of the town on US-20/NY-5. Lehigh Valley Junction – A hamlet north of Seneca Falls CDP. Montezuma National Wildlife Refuge – A federal conservation area partly in the eastern end of the town. Montezuma Wildlife Management Area – A state conservation area in the east of the town. Nichols Corner – A location on the north town line on NY-318. Seneca Falls – The CDP of Seneca Falls at US-20/NY-5 and NY-414, formerly an incorporated village. The public school system for Seneca Falls and its nearby villages is provided by the Seneca Falls Central School District. This district has four schools. The current superintendent is Robert F. McKeveny. Frank M. Knight Elementary School is a public school which handles grades K-3 in the Seneca Falls Central School District. It has an enrollment of about 300 students. The current principal is Janet Clendenen. Elizabeth Cady Stanton School is a public school which handles grades 3-5. It has an enrollment of about 300 students. The current principal is Amy Hibbard. Seneca Falls Middle School is a public school which handles grades 6-8. Enrollment is around 350 students. The current principal is Kevin Rhinehart. Mynderse Academy is a public school which handles grades 9-12. The enrollment is around 511 students as of 2006. The current principal is Andrew Doell. Finger Lakes Christian School (FLCS) is a private Pre-K through 12th grade school in Seneca Falls. It shares the building with Calvary Chapel Seneca Falls. The current principal is Pastor Scott Van Kirk. The school was established in 1991. The school is a ministry arm of Calvary Chapel Seneca Falls, and aims to offer an alternative to public education for Christian children. The school enrolls 75-80 students. Its admission policy is that at least one parent or guardian must be a born-again Christian. As well as the general curriculum, High School pupils attend Bible classes twice a week, and all students have devotional meetings daily with their teachers and attend a weekly Chapel service. FLCS students can choose from interscholastic soccer, basketball and volleyball, music programs, drama, shop and Home Ec. New York Chiropractic College  Moving from Long Island, New York, in the fall of 1991, the chiropractic college opened at this site after purchasing the old Eisenhower College from the state, who controlled the closed campus. The college is known to be one of the best chiropractic colleges in the country. ^ Town of Seneca Falls, New York - History, Retrieved Jun. 2, 2015. ^ Pacheco, Manny (December 11, 2010). "It's a Wonderful Life Museum opens". Archived from the original on January 22, 2011. Retrieved December 23, 2010. ^ "Voters in Seneca Falls, N.Y., approve dissolution of their village government". Boston.com. March 18, 2010. Retrieved January 27, 2018.